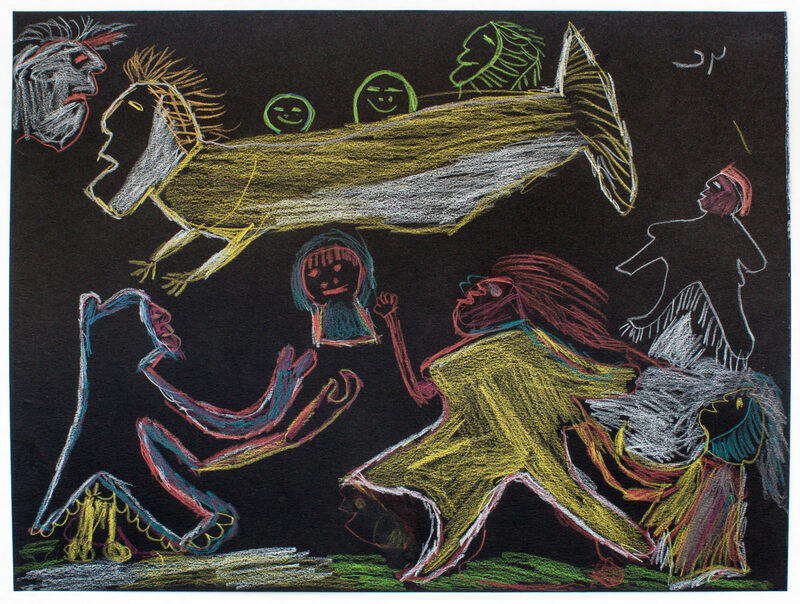 untitled (with spirit fish), color pencil, paper (black), 12 x 9 in. 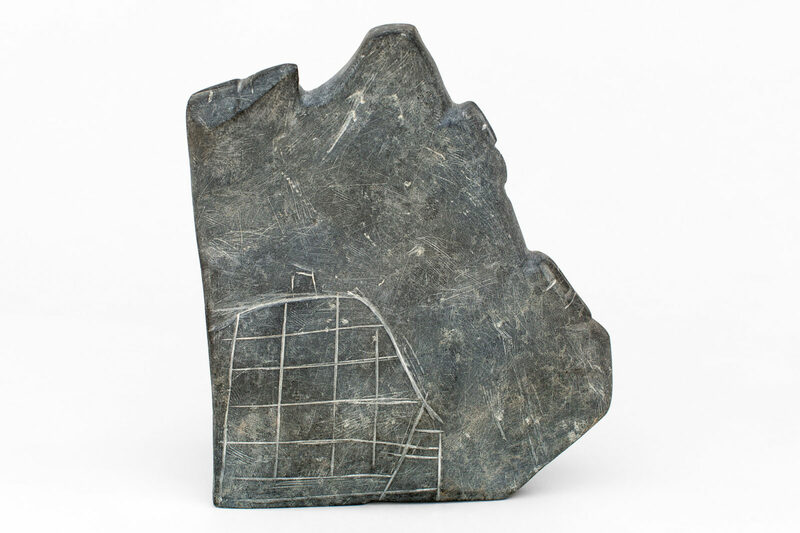 untitled (with large igloo), c. late 1970s, basallt, 10 x 6.25 x 7 in. 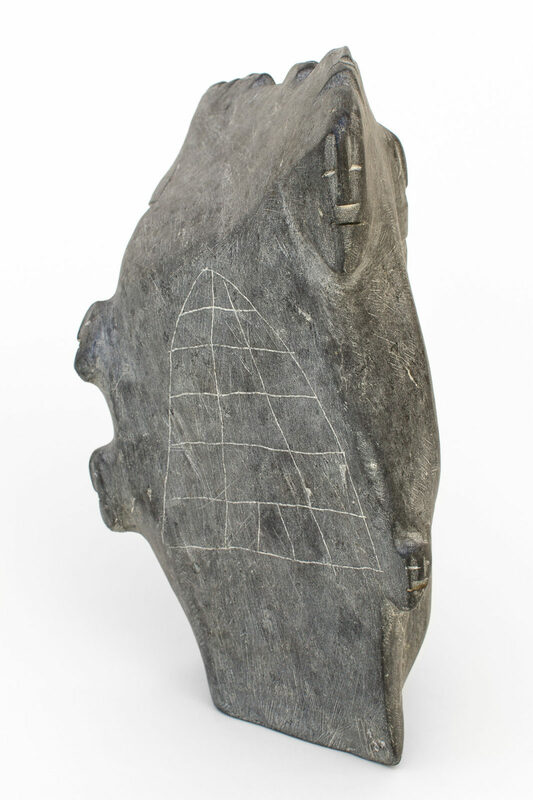 untitled (family group with igloo), c. 1990, basalt, 11 x 10 x 6 in. 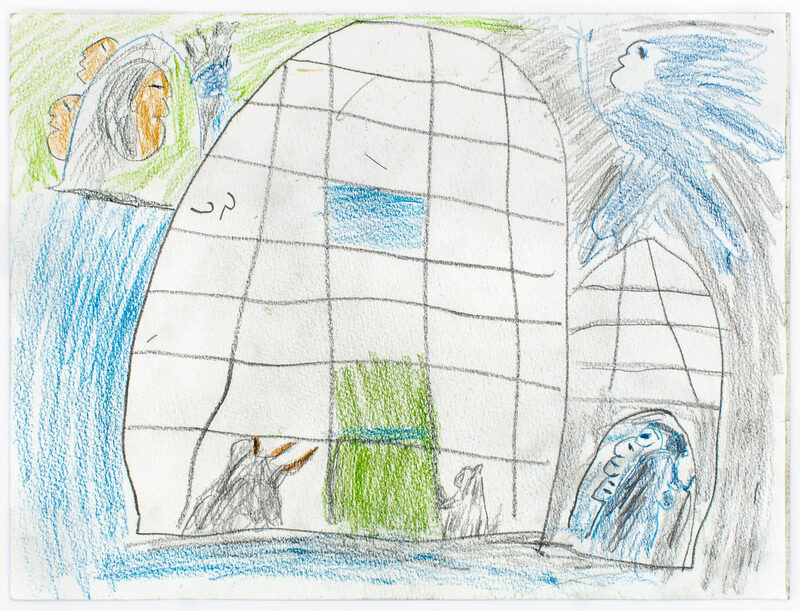 untitled (shaman in the igloo), 2004, color pencil, graphite, paper, 9 x 12 in. 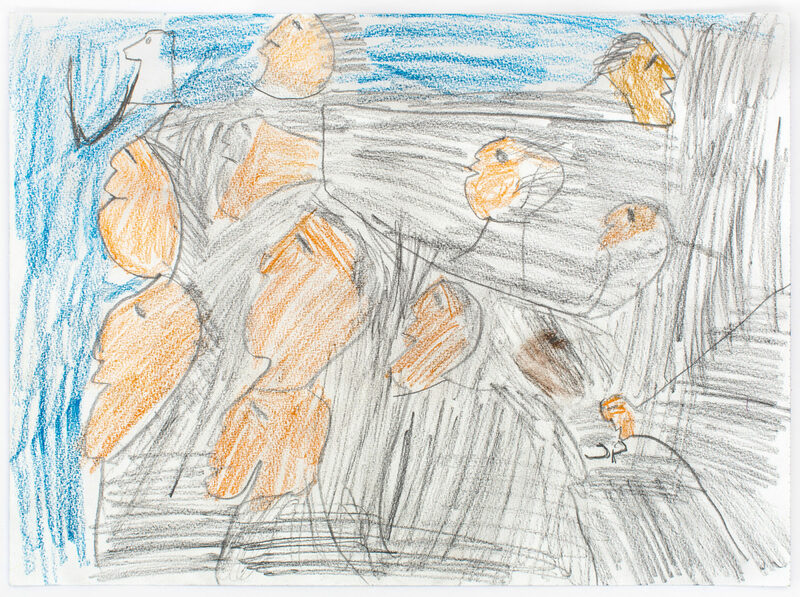 untitled (spirit faces), 2004, color pencil, graphite, paper, 11 x 14.75 in. 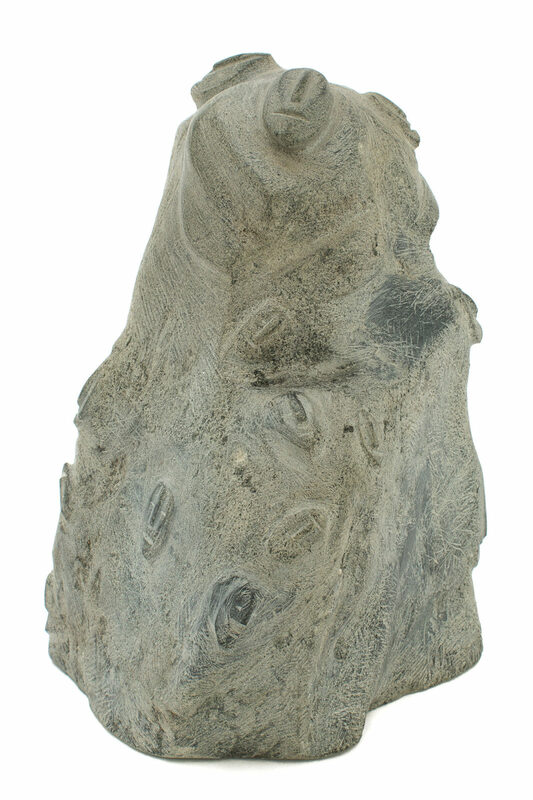 untitled (mother and children), 2001, steatite, 12 x 9 x 7.5 in. 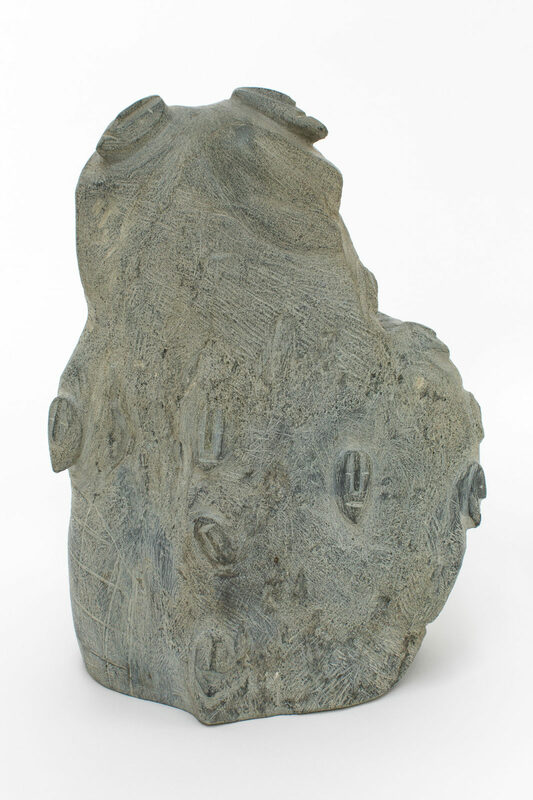 untitled (rock family), 2004, stone, 6.75 x 3.5 x 4 in. 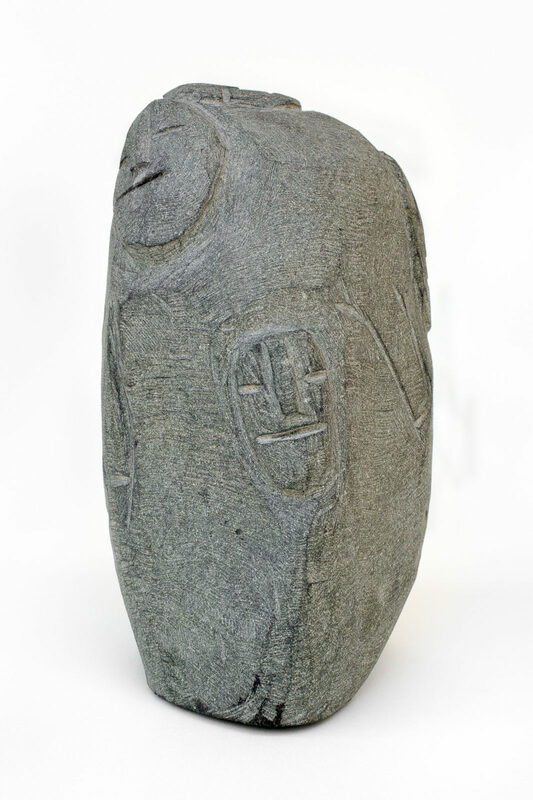 untitled (two faces), C. 1969, basalt, 2.75 x 2 x 1 in. 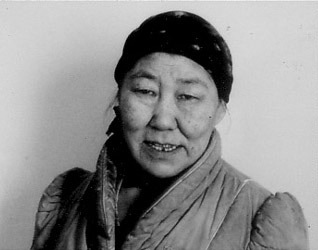 "When I was young, my grandfather made a pile of sand, put rocks on it, and made it look like a carving. 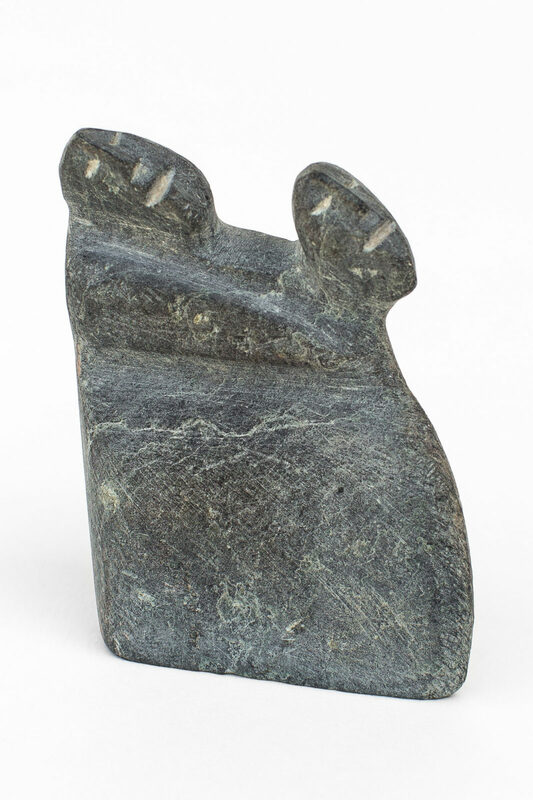 He told me, 'You should make carvings like this with stone because in the future white people will come by and talk about it. They will ask questions about you.' 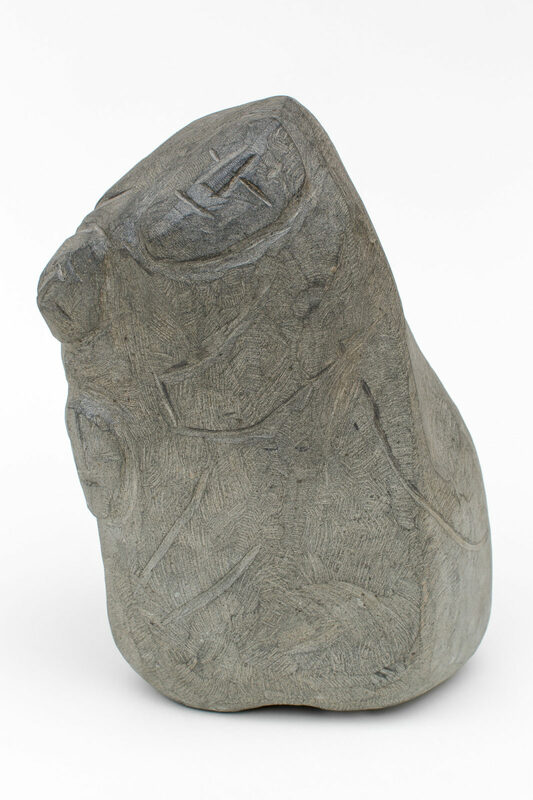 So I started because my grandfather told me to carve the shapes from that pile of sand."